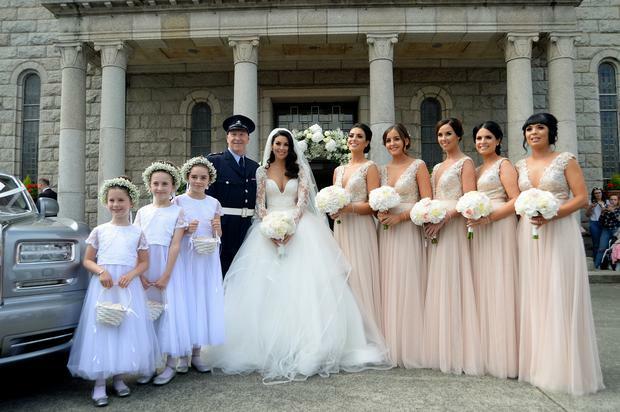 Top Irish blogger Suzanne Jackson has tied the knot. 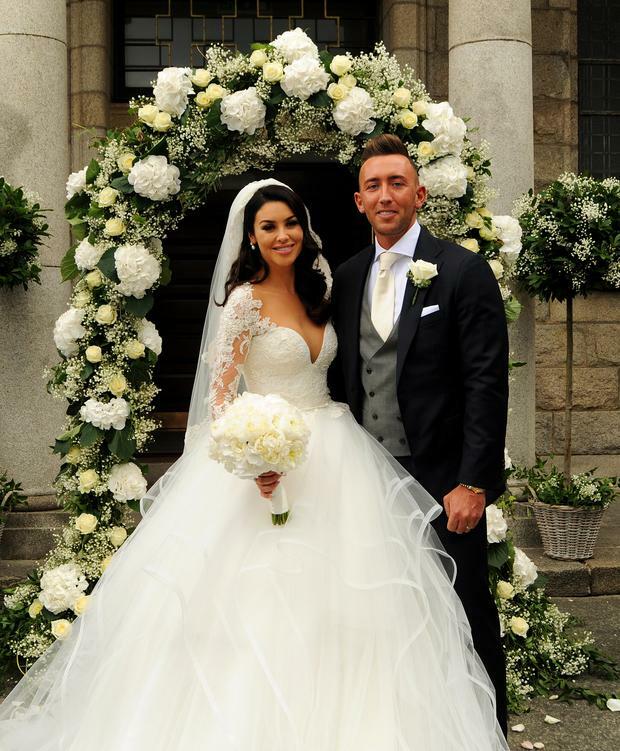 The Skerries native wed her long-term love Dylan O'Connor in her local church surrounded by family and friends on Saturday. The bride stunned in a full-skirted gown, custom-designed by Hayley Paige, with a plunging sweetheart neckline and lace sleeves, wearing her hair in loose Hollywood waves. 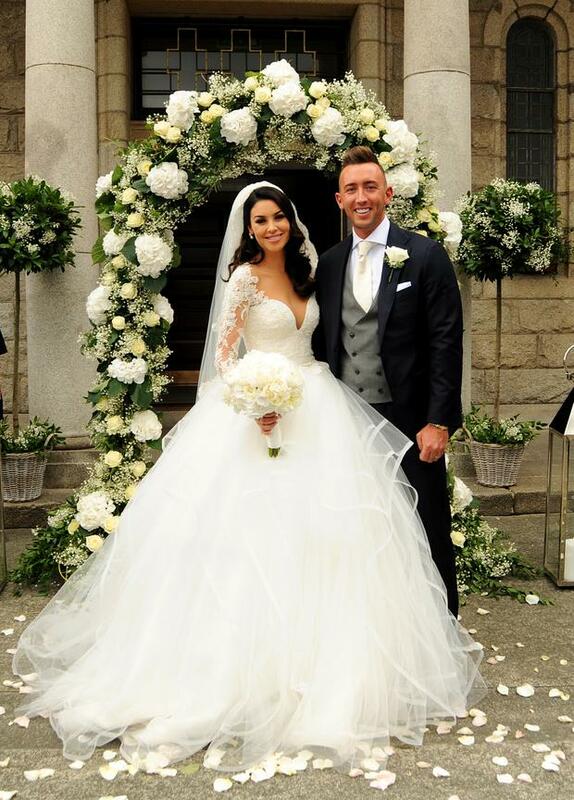 Luckily for the wedding party, the rain held off as she arrived at the church in a Rolls Royce just a few minutes late. 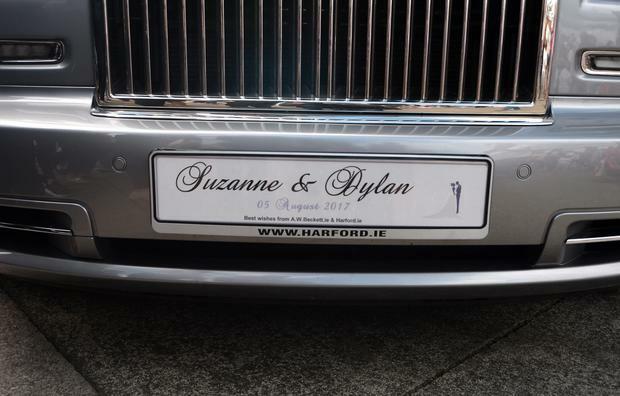 The luxury transport featured a customised license plate, reading 'Suzanne & Dylan'. 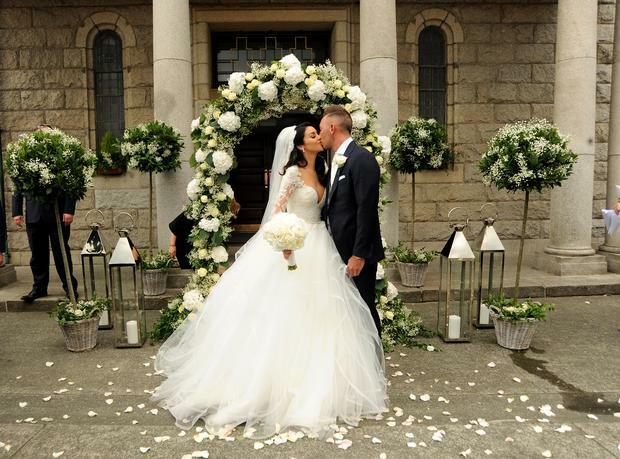 The newlyweds will travel to Powerscourt Estate, Co Wicklow for their five-star reception.